Oval wooden slated apple basket with hook on top. Used by apple picker in a tree. Could be hung off a limb while being filled. Stamped on bottom. Wooden basket with hanging hook on the end of the handle. The hook was to allow the picker to hang the basket on a branch or tree limb while he or she filled it. Canvas apple picking bag. 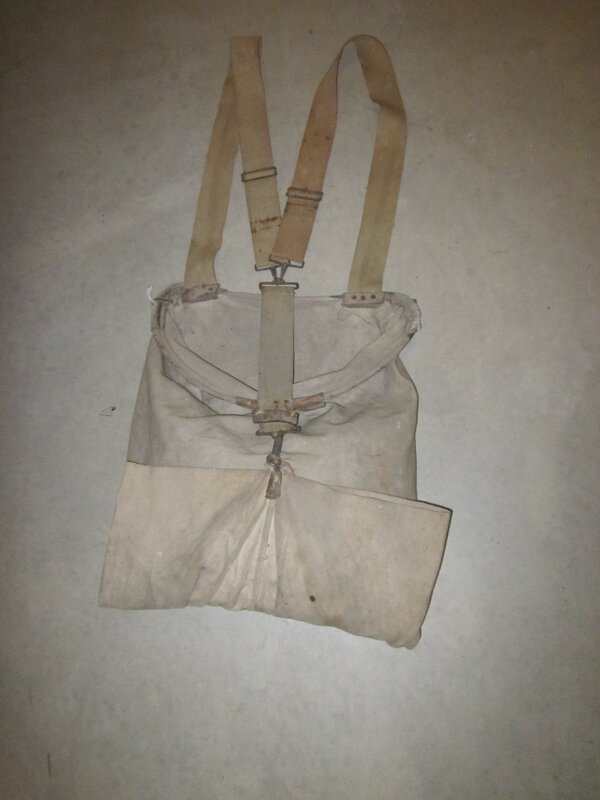 The bag was slung over the shoulders where it would hang in front. The top opened for putting in apples and the bottom was fastened up and clipped. It could then be opened up to allow for ease of emptying. Wooden handled, double hinged tree pruners. Long reaching tree pruner with pull handle countered by a spring. Used to prune small branches off the tree from high up. Wood strip bushel basket with paper liner for holding apples. Wooden strip bushel basket with wire handles used for packing apples. Wooden basket stand. Used to hold baskets or crates in orchard while being filled. When a crate was on top, angled toward the picker for ease of packing. Wooden crate for storing apples. 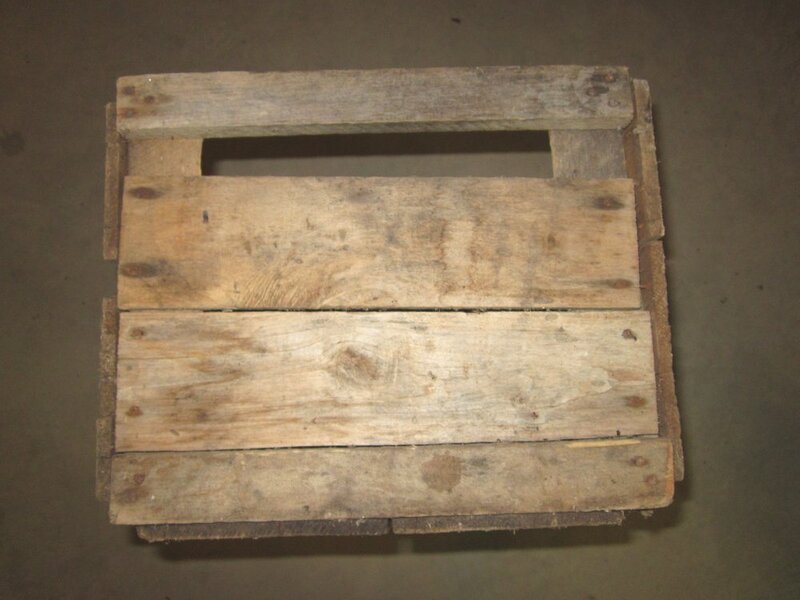 Wooden apple crate used to pack apples for storage and shipping. Apple press with chopping/mulching end and a pressing end used to make apple juice. Made by H. Sells. Hand cranked apple press for crushing juice from apples for the making of cider. Auger interesting as the strapping is made of wood though the teeth are iron. All wooden barrel for packing apples for storage and shipping. Metal arms on sides hook onto bottom of barrel. Round metal top lines up with hand cranked screw to evenly force lid onto barrel. Cardboard stencil for marking the side of apple crates, barrels, bushels etc. Small round wooden basket with vertical metal strapping used for measuring out a peck of apples. Small cardboard basket used for selling apples at market or at a store. Barrel lid shaped pad for raking apples when bushel is half full to keep level. Wood handle on top and a felt pad on the bottom.